The Time I Shared the Official Synopsis for Benched and a WHOLE sneak peek Scene! Today, sales I might do something really exciting. Heavy influence on the “might”. I’ve been writing a lot this month. I’ve had a lot of free time on my hands and I’ve been frustrated and discouraged. And instead of letting that get me down, cheap I’ve been more determined and passionate and ambitious. I’ve been working really hard to develop this story, make these characters feel real and finish it. Benched has been my floating device this month. And I’m really pleased to say…that today I could possibly finish it. I don’t want to get you guys overexcited or anything but I really believe that its possible that it could get done tonight or in the next couple of days. I’m extremely excited and I can’t wait to get this finished, and on the path to sharing it with the rest of the world. P.S. I’ll be needing beta readers for this in about a month or so, so please keep an eye out for that! So today I decided to share TWO things. One is the official synopsis for Benched, and the other is a sneak peek. I hope that both of them catch your interest, because I’m really excited about this book and I’m really excited about its potential. 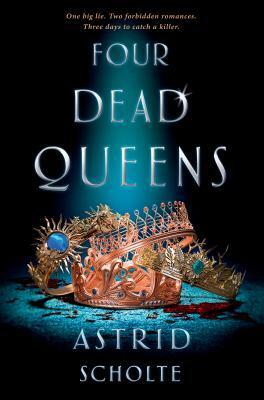 Please keep in mind that this is NOT young adult literature. It is new adult romance so there are mature themes. Benched tells the story of nineteen-year-old Evie Cordova. Evie has grown up in the central California coastal town of Santa Isabella, where the obsession is the college baseball team, the Quakes. Her father has been the head coach for as long as she can remember and her happiest memories are at that field. That is, until her heart is broken by one of the players and she can’t even look at a baseball without remembering the pain. Now she’s in college, the very same college that houses the baseball boys that she wants nothing more than to avoid. Working for her dad brings her face to face with Austin Young, a transfer student who throws Evie off guard, with his dedication to baseball and his Southern charm. Suddenly, Evie can’t remember why she avoids baseball players. There’s an undeniable pull between the two of them and the more she runs, the closer they become. Evie has to decide whether to stick to her rules, or if Austin will be worth the risk of getting her heart broken once again. 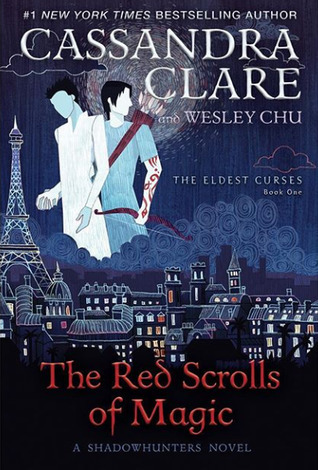 But Evie has her own secrets that are holding her back and they just might ruin everything. Is he really repeating every single thing I say right now… God I wish I could tell what he was thinking. I bite my lip. “Yeah.” Was I being stupid? I didn’t want to date him; that was the truth. He was a goddamn baseball player and, even worse, a Quake. But was “just friends” even a possibility? He’s hot, incredibly so, and even with a desk between us, my body was tingling with want. He still hasn’t responded and I start to turn back around, feeling embarrassed. His hand reaches out for me, grabbing my arm. He’s keeping me from turning around and my eyes watch the way his fingers flex around his biceps before I raise them and meet his. I swallow hard, blinking rapidly. It’s hard to concentrate on whatever the professor is saying with Evie sitting in front of me. Her long, dark blonde hair is hanging loose down her back and some of it falls on my desk and it smells amazing, like coconut. Like lying on the beach. She wants to be just friends and damn, I know I should be okay with that but she has no idea the effect she has on me. She’s gorgeous. I wasn’t lying when I said she and her sister looked alike but there’s something about her that’s much sexier than her sister. It’s not her eyes. Its something in the way she carries herself. I can’t get the memory of her coming apart in my arms out of my head. The noises she made, the way her body literally shook while she was pressed against me…I get hard just thinking about it. I shake my head. She’s a distraction, the ultimate one, and I can’t let myself get distracted. Not now. Not only is she the coach’s daughter but she could derail everything I’ve worked so hard for. My path is simple. Play ball. Get scouted. Get drafted. There’s nothing else. A girl like Evie could pull me away from all of that. Nothing is worth losing that. Evie turns in her seat to hand me a paper and her eyes, one brown and one blue, meet mine. She licks her lips nervously before turning back around. Don’t forget to follow me here, on my instagram and my author instagram to keep updated all the things to do with me and my writing! Author SaraPosted on September 2, 2015 Categories UncategorizedTags Benched, Indie, Inspiring, new adult, novels, publishing, romance, Sports, writing1 Comment on The Time I Shared the Official Synopsis for Benched and a WHOLE sneak peek Scene! The Awakened Has Officially Been Submitted to Swoon Reads! And I could SUPER use your help. Eighteen year old Zoey Valentine is concerned with two things: surviving the multitude of self-defense classes her dad makes her take to keep her safe in their New York City neighborhood and avoiding her school bully, Ash Matthews, whose latest transgression includes dumping glitter on her during fourth period. College is just around the corner and she’s ready for it. That’s when the virus hits, wiping out a third of the population in a matter of weeks. If that weren’t frightening enough, the bodies of the victims disappear and suddenly reappear, awakened from their dead state. They’re like zombies, but worse: faster, smarter, working together to get the one thing they crave, human flesh. The United States is in a panic and then the government decides the unthinkable: to bomb every major city overrun with these awakened victims. Now Zoey is on the run, with her dad and Ash, desperate to find a place of safety amongst the ruined remains of the country. I worked hard on it for over nine months and I’ve been working hard for nearly a year to get it published. It is NOT an easy road. It’s not. But I’m not giving up. It’s just too important to me to do that. So I’m going another route, in the hopes that I can find a way to get this from my computer and into YOUR hands. Swoon Reads is an incredible publishing company, and they are a part of Macmillan, which is a DREAM company for me. Legitimately a dream company. And they do this absolutely incredible thing: they allow you to upload your manuscript (as long as it’s romance!) and let the audiences (YOU) choose what books to be published. I’ve read a TON of their books. I’ve actually just recently gotten a few more in the mail as ARCs. You guys pick amazing books and they publish him and I think its just completely fantastic. Its a wonderful thing and I thought, you know what, why not try that for The Awakened?! Now if you don’t like it, that’s okay! Its not for everyone, I know that. I hope you don’t give me a bad rating but don’t EVER feel obligated to give me a GOOD rating. I just know that there are a TON of you that have expressed interest in reading the book and now you can in. And if you like it, you can help me out. And that means a LOT to me. and read and rate The Awakened. I would so appreciate it! Author SaraPosted on June 27, 2015 June 27, 2015 Categories UncategorizedTags agents, books, novels, Published, publishing, Query, romance, science fiction, Swoon Reads, The Awakened, writing, YA, young adult, zombiesLeave a comment on The Awakened Has Officially Been Submitted to Swoon Reads! 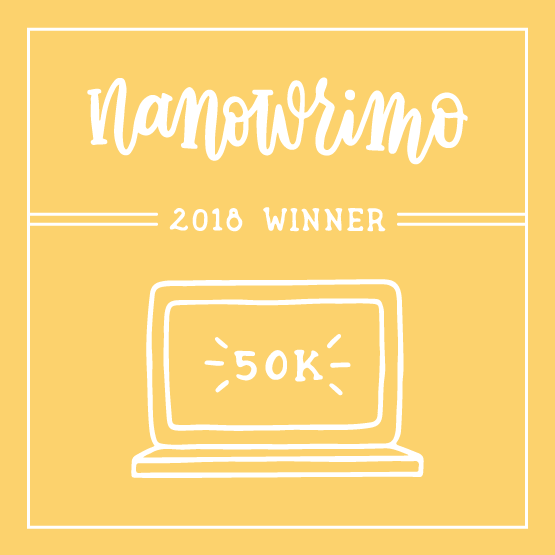 NaNoWriMo 2014: My Journey as an Aspiring Novelist! Before you jump into this blog post, malady I want to warn you that it is VERY, find VERY long. Probably one of the longest posts I’ve ever written. I have a long journey as a writer and its still going! But I had a lot of fun talking about all the different things I wrote in the past, and I share a lot of snippets from some of my earlier novels from high school, so if you’re a fan, sit back, relax and enjoy! Hello everyone! We are basically almost to the halfway point of NaNoWriMo 2014! How is everyone doing? I’m doing quite well so far, better than I honestly expected and I can’t wait to keep continuing on with my novel. I feel like I just keep bursting with inspiration. I know that a lot of what I have written so far has been fairly sloppy and that a lot of editing will have to be done in the future, but it feels really good to be getting the words down. As my dear friend, Jessica Brody always says “It’s okay to write crap, because crap makes great fertilizer”. We gotta get that fertilizer down. Today, I’m talking about writing as a career. Now that might be confusing and the title might be confusing but its mostly…how I can to the decision that writing was going to be my life. This is my goal in life, this is what I work at nearly every single day and this is what I sacrifice a lot for. I never really thought about writing until I was 9 years old. I learned to read when I was very, very young. My parents taught me pretty early, and I became a serious bookworm right off the bat. Books have always been a constant companion for me, and they will remain so for the rest of my life. But when I was 9, that was the first time I realized that writing was something that I could do, and something that I could do well. We had this program called “Writer’s Workshop” when I was in elementary school. It was to encourage kids to constantly be writing and to focus on creativity. I really wish they still did it because it was one of my favorite parts about school. We usually had to write a short story once month. You know, a back to school story for September, a Halloween story for October, a Thanksgiving story for November and so on. We had an assignment to write a winter story for December and for some reason, who knows, I didn’t do it. Maybe I was lazy. Maybe I thought listening to my Hanson CD on repeat was a better use of my time. Who knows? Anyway, because I didn’t do this assignment, I was forced to skip out on the Christmas party that the class was having for the day before the two week holidays started and forced to finish the assignment. I think my teacher expected me to be stuck in my desk, writing all day, because when I produced a story about thirty minutes later, she had this deep look of disbelief on her face. Surely, this was done quickly and, let’s face it, probably terribly, due to the fact that I was itching to join the rest of my classmates in the fun. Her eyes grew even wider as she read the story, and she asked me if I made the story up on my own. I nodded, feeling confused, not really sure if I was in trouble or not. She read it again, her eyes skimming the page. She told me good job and then let me go to the party. She then proceeded to disappear for awhile, ducking into the classrooms of the other teachers in our block building. Later, I found out, she had gone around to show other teachers what I had written because it had been impressive, not just because I was only nine years old but also because I’d managed to do so in only thirty minutes. My teacher called my parents and it suddenly became this important thing, this potential that I had. I could write. I had a talent for writing. As someone who loved books as much as I did, this meant a lot to me. I didn’t really think anything of being an actual writer until much much later. I continued to sort of write things in school. Whenever we had to write a paper from the point of a view of a child during the Boston Tea Party or something like that, I always did a really good job. I had creativity in those sorts of things that always got me attention. So I started writing. I started thinking…maybe this is something I could actually do. My first stories were terrible. Oh god. I don’t have a lot of them anymore because I backed them up on a floppy disc (!!) and who the hell knows where that disappeared to, and well, who uses floppy discs anymore? But they were just awful. I wrote a lot about a pair of twins named Bianca and Bonnie (oh god those names). I had an unhealthy obsession with twins as a child and I always thought it would be the coolest thing in the world to have a twin. It usually involved blatant ripping off of the Sweet Valley High series and the Baby-Sitters Club series, which were two major staples in my reading history. It mostly involved a shy girl named Bonnie, who had a crush on a boy named Michael who totally loved her back but kept getting distracted by her dashing twin sister, Bianca. Oh and did I mention that Bianca and Bonnie’s mother was getting married to Michael’s dad? Oh yeah, that was totally the greatness that was coming out of my brain back then. I wrote my first “novel” when I was about 14. It was called “Cast a Spell“, and probably was roughly about 20K words. It was very short, and very, very bad. I was a super cool emo kid at the time and thought I was punk (I so totally was not) and so I made my main character like that. She wore ripped The Cure shirts and had pink hair and was a witch, who was massively in love with her best friend, Jordan, which was also the name of the boy that I had a massive crush later in high school…that’s weird. It was terrible. Just…god, I can’t even think about it without cringing. The next thing I wrote was a novel called “A Simple Line of Chords“. It was a cheesy romance, that was also written just terribly. It was about a girl named Artemis (because, you know, I was majorly obsessed with Greek gods) who lived with her mother who was not really there. She didn’t trust people, she didn’t love, and she used boys. Until she met Elsren (which is a name I totally stole from Tamora Pierce’s Daughter of the Lioness series), who was a good guy who just couldn’t help but fall in love with the troubled Artemis. He was also in a band that did Something Corporate covers. Its terrible. In fact, I managed to track down my old storywrite.com profile and I found it. Oh god. Here is the opening paragraph to that terrible novel. I also wrote a series of short stories about fairies, my own sort of happy versions of fairies. Looking back on them, it was my first attempt to write fantasy. I was really getting into fantasy in high school, whereas everything I’d read before (besides Harry Potter, Narnia and Tolkien) was contemporary. I thought fairies were kind of fun, and I didn’t know much about the folklore that said fairies weren’t fun in the slightest. You can read the first of that short series right here. Please be warned…it’s SO bad. The first novel I really felt good about though was one when I was about 17 years old called, The Code Name Diaries. It was about a girl who witnessed a crime and had to go into the Witness Protection Program to protect herself from the family that wanted to hunt her down for putting one of their own in jail. It’s also really short and I don’t think its written very well but its one that I’ve always kept in the back of my mind, as something that I could definitely write in the future, now that I write better, know what word count is, etc. But I was fond of this story. It was the first one that I really felt came from my own head. A lot of what I had written before was still copying authors that I admired at the time (and still do) like Meg Cabot, Sarah Dessen, etc. This felt new and unique to myself. Oh and the main character falls in love with the police officer that saved her life. Because, you know, that’s awesome. Then I wrote what I think is my first real novel. I still think I’ve written better since then but Another Chance for Summer was my first real novel. I wrote a complete novel, and even self-published it on Amazon (though I’ve since removed it because it needs SERIOUS editing). Its about a girl named Summer who has grown up in the shadows of her two sisters and the fact that she was bullied her entire life for being fat. A new boy moves to town named Charlie and they instantly become friends, Summer’s first real friend. Its a contemporary romance that follows their friendship as it turns into something more and even though I know I’ve gotten better and I know the novel could be better, I’m really proud of it. Then I wrote a novel called A Little Less than Famous. This novel followed the story of McKinley, who runs into Hollywood superstar, Jake Kennedy, one day at Disneyland and completely captures his attention. The thing about McKinley is that she has abandonment and trust issues, and she doesn’t fall in love, ever. But there’s something about Jake and this brand new world that comes with dating him that makes her break all her rules. Its sort of new-adult-y and I self-published this one in January of 2013 before removing it about six months ago. Its another one that I’m quite proud of but I really think needs a LOT of editing and revamping. But then I wrote the big one. The one that most of you guys know about: The Awakened. The Awakened is my first fledged novel that I feel 100% proud of. This is the first novel that I wrote and thought…this is it. This is what I want to do for the rest of my life. I want nothing more to be a published author and The Awakened is going to do that for me. 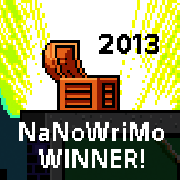 I started it in October of 2013, and wrote a huge chunk of it for NaNoWriMo 2013. Its about a girl named Zoey who is living in New York City when a deadly virus hits and wipes a third of the country’s population. If that weren’t scary enough, the bodies of the virus victims disappear from morgues and hospitals all over and suddenly reappeared, awakened from their dead state. They’re like zombies but worse: smarter, faster, working together in groups to get the one they crave: human flesh. The government goes for the worst possible response, to bomb every major city in the country in order to eliminate the problem. When I finished writing The Awakened, I had already made my decision: this is exactly what I want to do for the rest of my life. I want to be an author. I want to be traditionally published (though if that doesn’t work out, I’ll explore indie and self publishing). I decided that in order to make this happen, in order to put 100% into this goal, I had to make sacrifices. I quit school, and I work part time jobs, all in order to put all of my effort into writing, promoting, querying. This novel is…my baby, the one that I honestly think will do it for me. I’ve been querying for an agent for The Awakened for about two and a half months now and I’ve been rejected. But this is the novel that brought me to my writing career. This is the novel that basically made me the writer I am right this second. Now I’m in my second year of NaNoWriMo, working on my untitled novel about Evie and Austin. Evie lives in a baseball obsessed town and has grown up loving the world of baseball and the local college team until something changes mind, three years in the past. Now she does everything she can to avoid baseball (which is hard in her town), but she can’t seem to avoid Austin, who is the new second basemen on the team. I’ve always wanted to write a novel about a sport and two people falling in love around that, especially baseball. I think its sort of the idea that I had years ago with that football “novel”, but I have a lot of faith that it’ll be MUCH better than that. So there you have it. My writing journey. From the time I was 9 and wrote a short story for a school assignment to the most recent thing I’m working on. I mean, sure, there are some things in between that I’ve left out and I’m not ready at all to share with you guys the absolutely horrible Draco/Harry fan fiction that I wrote back in high school, but you get the general gist of what my journey as a writer was and still is! Now I gotta get out of here now because there’s a novel calling out my name and I have to get some word count done! Author SaraPosted on November 14, 2014 Categories UncategorizedTags 2014, Aspiring Novelist, Earlier Works, I Read YA, I Write YA, Inspiration, NaNoWriMo, Novelist, Novellas, novels, Stories, The Awakened, Writers, Writing Journey, YA, YA literature, young adult1 Comment on NaNoWriMo 2014: My Journey as an Aspiring Novelist!